Some clients have learned the fact that resinous flooring is the best flooring solution for many industries and facilities. However, for the client that is looking for the first time, the irony may seem that flooring is simultaneously one of the least and most important aspects of your business. On the one hand, considering all of the details you have to oversee as a business owner or manager, why bother even thinking about flooring unless there’s a clear and obvious problem? On the other hand, the right flooring can last for decades, prevent slips and falls, boost the productivity of your business and help deliver a safer, better and cleaner product. With over 28 years of industry experience, we know that whatever industry you’re a part of, for a successful project we need to assist you through a series of steps for a successful project, and at the end your happy and you know you received Value. Here’s how it works. We try to educate every customer so they can properly evaluate recommendations, in turn make an informed decision creating long term value for their company. We provide a TURN-KEY service, we don’t subcontract any portion of our projects. First, an experienced representative will make a detail assessment of your current floor conditions and requirements. A recommendation is made based on the assessment of the floor and facility requirements. The customer is then presented with system options, product samples and a detailed step by a step by step plan of installation. PPI can provide full containment with air scrubbers. The clients floor is prepared with state of the art ride on and walk behind shot blasters and grinding equipped. PPI has already complied with the new OSHA regulations for dust control. 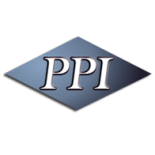 PPI highly trained employed technicians install the protective coating/resurfacing system for your facility. Through effective management, planning and job execution your operation will experience minimum downtime. We provide follow up service and maintenance plans. A protective coating plan can be developed to satisfy all your requirements including budget restrictions, seasonal and/ or production related limitations, specific substances resistance properties, EPA, FDA and OSHA mandated regulations.